If a diver surfaces and reports any signs or symptoms of decompression illness (DCI), they should immediately be evaluated against the list of DCI symptoms and equipped for re-entry into the water as quickly as possible. Be certain that the victim is functionally responsive, mentally aware, and capable of answering questions such as “What day is it?”; “How old are you?”; “Where are you?”; etc. Do not delay re-entry to the water but examine their dive computer for its last dive profile and see if any required decompression was omitted. Also note the maximum depth and total run time of the dive. Whatever the breathing mix (nitrox or air) do not worry about calculating OTU or CNS oxygen exposure. OTU loading will be incidental and CNS O2 exposure will be in the range of 20% at most. The immediate priority is return to depth to compress inert gas bubble development and aggregation. The following should be kept ready for usage and readily available on the dive deck so that there’s an immediate response to a DCI event. Two oxygen-clean scuba cylinders filled with 100% oxygen… pressure may be limited to approximately 2000psi (133 bar) due to storage pressure in H tanks. Two oxygen clean regulators with submersible pressure gauges. No extra second stages or low-pressure inflator hose should be attached. A ½-inch or 5/8-inch (15mm) line at least 80 feet (25m) in length should be deployed with approximately 40-50 pounds (20kg) of weight attached to the bottom to hold the line steady and vertical in the water column. Ideally, the line should be deployed from the main vessel’s amidships boarding area or stern platform and extended so the bottom of the line is as close to an exact depth of 60 feet (20m) as possible. The extra line length can be coiled on the deck and the line made fast to a cleat or other fixed point. A slate and writing marker should be with the tending diver to communicate with the patient. Another dive tender should accompany the two divers with a scuba cylinder filled with normoxic (standard) air at 21% oxygen. This will be used by the patient to breathe from during air breaks from the oxygen treatment. It can be worn by another diver with an extra long hose second stage to share with the patient. Do not burden the patient by having to change cylinders. Change the patient’s oxygen cylinder mounted to his BCD as necessary but ideally during the air breaks so no unnecessary interruption of oxygen breathing is done. A clip or carabineer is helpful with corresponding eyes configured in the vertical line so that the patient can simply clip in and relax hanging motionless during the treatment. The clip can be on the diver’s BCD or other harness. While there are several tables that have been in use for in-water recompression treatments, a standard Table 5 is effective and relatively easy to conduct. Descend to a depth of 60 feet (18m) as quickly as comfortable for the patient to equalize ear pressure. Depth should be measured at the center of the diver’s chest. Upon arrival at 60 feet (18m), the patient should breathe 100% for a 20-minute period. It is likely that most symptoms will resolve during the initial 20-minute breathing period at 60 feet (18m). A PO2 of 2.8 ATA will exist at 60 feet. (18m). After 20 minutes on oxygen, the patient should switch to compressed air for a five-minute breathing period. Repeat another 20-minute oxygen breathing period followed by a five-minute air break. At all times, the patient should remain at rest with no physical exertion. At the conclusion of the second 20-minute oxygen breathing period and the five-minute air break, begin ascent from 60 feet (18m) to 33 feet (10m) at a rate of one foot (30cm) per minute while breathing oxygen. Upon arrival at a depth of 33 feet (10m), have the patient do a five-minute air break. Now the ascent to the surface will begin while oxygen breathing. Ascent rate will be one foot per minute. This will take 30 minutes. It is now time to remove the patient from the ocean. Remove all equipment except the thermal suit so the patient is not physically stressed. Upon surfacing, have the patient drink as much water as they are comfortable with. Inquire about any remaining symptoms. Let the patient take a fresh water shower, towel off, dress in comfortable shorts or lightweight cotton pants with a tee shirt or sweat shirt. Take them to a well-ventilated (preferably air conditioned) cabin located in an area of the vessel with as little motion as possible to minimize any seasickness. They should lay flat on their back with their head on a pillow and be comfortable. Have the patient begin breathing 100% oxygen via oral-nasal demand mask. Continue for two hours. Patient may drink water as needed. Following two hours, do another field examination for CNS or pain DCI symptoms. It is likely that all symptoms will have completely resolved during the in-water phase of treatment. Continue to have the patient breathe oxygen via demand mask for 24 hours with breaks as needed for hydration and bathroom relief. Following the 24-hour surface oxygen breathing period, the patient may resume normal activity but with no physical exertion. Diving should be suspended completely. Notes: Although unlikely, there is the possibility of a CNS oxygen reaction during the oxygen treatment breathing period underwater. If any symptoms are observed, the patient should immediately be placed on compressed air breathing for ten minutes before resuming the prescribed oxygen/air breathing protocol. While not an absolute requirement, having a full-face mask for the patient during O2 breathing would be desirable since any possible contingency reactions from oxygen toxicity would be minimized and lessen the possibility of losing the breathing source from a standard scuba second stage. Tending divers should breathe a nitrox mixture of 40% oxygen. They will not need air breaks. Tenders may be rotated during the treatment. Patients may exhibit anxiety and stress during the treatment. Every effort should be made to keep them calm and relaxed. It is also likely that treatment will continue after sunset and in darkness. Have lights available underwater and have a tender observe for any marine life threats. If the vessel anchorage or mooring site is not calm, conduct the recompression in a protected lee area near an island, if available. Ideally, the motion in the vertical water column should be an absolute minimum. Time is of the essence from the initial reporting or symptoms to re-entry to the ocean and return to a depth of 60 feet (18m). Most patients will resolve completely if treated within 30 minutes to one hour. Time of treatment on Table 5 is two hours and fifteen minutes underwater. If deemed necessary, extra 20-minute O2 breathing periods can be added at either 60 or 33-feet (18m – 10m) depths but this should not be required. However, if any doubts exist about resolution of symptoms add the O2 extensions. As long as the supply of O2 is available, it can’t hurt and serves as an additional outgassing gradient for elimination of inert gas bubbles especially in areas of aggregation. About Bret Gilliam. A licensed U.S. 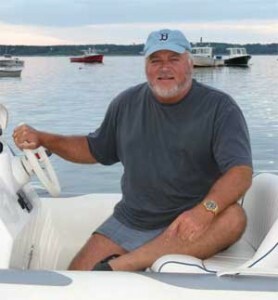 Merchant Marine Master, Gilliam has run hyperbaric treatment facilities and recompression chambers since 1971. He is credentialed as a Recompression Chamber Supervisor through NOAA, UHMS, ISAM, SPUMS, IBUM, and ERDI. His papers and articles on emergency diving treatment have been published by these groups as well as the American Academy of Underwater Science, the Divers Alert Network, and in the international press. He has presented his formal work at a variety of conferences and symposia since 1972. ← Take My Breath Away…No Just Kidding, Give It Back! First, I see a few old friends have already commented here. Small world, eh. Funny we should meet at / or be drawn to, shall we say, a familiar if controversial topc. But being no stranger to contoversy myself, let me at least first take the opportunity to say hi guys, it’s a blast from the past you might say! As to Mr anon – e – mouse ‘me’ and others so wondering, although I don’t profess to know much about the said Mr Giliam, I believe Mr Gilliam (or is it Bad Boy Bret?) got at least part of his education in the school of life and at the unniversity of hard knocks, some classes at the latter to which I was called back to attend about ten years ago now myself. Anyway, as they say ‘”don’t knock it till your’ve tried it, and I’ve tried it my friend” or “what works, works’, eh Bret. Wah Wah! This has just been pointed out to me. I want to add one important perspective to this discussion. First, however, can I be clear that I support the concept of in-water recompression of properly selected DCS victims by properly prepared groups of divers. The perspective that I wish to add is that 2.8 ATA of oxygen underwater is an unacceptably dangerous dose, even for relatively short periods. You should NOT be conducting a USN Table 5 underwater. If you look at figure 12 of their paper on page 48 you will immediately appreciate why the advice to recompress sick divers to 60′ on pure oxygen is dangerous. The survival curve in 12(d) for exposure to 50′ of oxygen (LESS than is being recommended here) when immersed at REST shows that 50% of divers will exhibit symptoms of oxygen toxicity in LESS time than the exposure being recommended here. It should be noted also that Donald’s subjects were not being recompressed after a prior oxygen exposure (which might be substantial – eg in a technical diver with DCS), or in a physiologically compromised state. These factors without doubt will further increase risk. In his work Donald concluded that “diving on pure oxygen below 25′ is a hazardous gamble”. Figure 15 (page 53) in the Vann and Hamilton paper is also revealing. It is based on US Navy data from working dives, and shows iso-risk curves for seizures at different inspired PO2s (on the vertical axis). It is clear that at 2.8 ATA there is virtually NO time before the risk exceeds 8% (the rightmost curve). I accept that divers undergoing in-water recompression should be resting, but this can never be guaranteed. In truth, activity during an in-water recompression in realistic conditions is likely to lie somewhere between work and rest. Based on the best evidence we have I conclude that the advice given in this blog should be modified in respect of the recommended oxygen dose. 2.8 ATA has been chosen for dry recompressions as a compromise between bubble compression and risk of oxygen toxicity in the dry chamber environment. To advocate the same dose in the immersed diving environment where the risk of oxygen toxicity is proven to be markedly higher ignores the logic of the original compromise, and the benefit is unclear. It is likely (though obviously not proven) that much of the benefit of recompression can be achieved at a lower dose of oxygen that is safer in the immersed environment. The US Navy recommend 1.9 ATA and IANTD adopted 1.6 ATA for their in-water recompression course out of concern for oxygen toxicity. I serve on both the UHMS Adjunctive Treatments Committee and the Diving Committee, and can state with confidence that none of my colleagues on these committees would support the administration of a Table 5 to an immersed diver. No need for any aggro or measuring appendages – DCI victims don’t care about your credentials, only whether or not you know what you are doing. Without disrespect to Master Gillingham, but I would also strongly urging caution running a diver wet with those sort of PO2s. We don’t have a great deal of data on all this stuff, but on balance I feel the CNS risk is unacceptable and unnecessary, given that there are lower risk alternatives (especially if a FFM isn’t available). Check out the “Australian method” described in Edmont & Pennefarther’s textbook, or the method described by the French colleague above. Granted, this will give you longer treatment times which carries it’s own problems, but on balance it still seems a lot safer to me. Remember all those early military rebreather divers? Clearly, more work needs to be done to arrive at the best possible treatment plan in these circumstances. John Mammoth: Just so you know, I don’t make the rules for Undercurrent. The publisher made the decision to block comments from people hiding behind “no name” emails. I have always let my identity be known for all my writing and when I’ve commented on other articles. Call me crazy, but I think people should have the courage to stand up, with a real name, and be responsible for their commentary. It ends to raise the bar on a discussion. Well done, Bret. This “ME” guy was too pesky. Had I ran out of arguments, I would have also censored him. By the way, I’ve never seen DocVikingo censored. Or dp_sea_rn, or Kevrumbo; just to mention a few. By coincidence, I had a long productive discussion with DAN President Bill Ziefle today. We shared a lot of information and found that we were almost 100% in agreement on methods of IWR. He also has been aboard a remote vessel when IWR was needed for an emergency patient. Of course, since you are hiding behind an alias and not revealed your actual identity, you can babble away and not be accountable. That is not acceptable to me or Undercurrent’s readers so I will not be replying to you now or in the future. Undercurrent’s editor John Bantin is preparing a follow up article to the main feature in the January 2017 issue and that will continue this discussion. If you would like to come out from behind the curtain and identify yourself, I’ll be happy to engage with you. But anonymous mud slingers don’t fit into my professional journalism model. I’ve been trying to frame a protocol that will work for people in remote areas, without medical professionals, without chamber treatment supervisors like me, and with limited equipment resources. It’s a real world situation. It’s not a clinical setting. The suggestions I have brought forward are based on decades of success. You may not like it… but it has worked for scores of patients over the years. Faced with a Type II DCS hit and no chance of evacuation for treatment, the overwhelming majority of divers would elect to be treated with IWR and with a protocol that has had the best rate of recovery. That’s what I have tried to detail and it has been widely embraced. Bret, you say “My recommendations are based on proven data…”. I beg you please show us such data. I wonder why the “US Navy” never thought on using a “US Navy Treatment Table 5” underwater. They are so dumb their IWR protocols only go to 30ft deep. Silly them, they should have consulted you before releasing the Revision 7 of the US Navy Diving Manual, from December 2016. 3?9.2.2 Central Nervous System (CNS) Oxygen Toxicity. Central nervous system (CNS) oxygen toxicity, sometimes called high pressure oxygen poisoning, can occur whenever the oxygen partial pressure exceeds 1.3 ata in a wet diver or 2.4 ata in a dry diver. The reason for the marked increase in susceptibility in a wet diver is not completely understood. At partial pressures above the respective 1.3 ata wet and 2.4 ata dry thresholds, the risk of CNS toxicity is dependent on the oxygen partial pressure and the exposure time. The higher the partial pressure and the longer the exposure time, the more likely CNS symptoms will occur. This gives rise to partial pressure of oxygen-exposure time limits for various types of diving. Immersion in Water. Immersion in water greatly increases the risk of CNS toxicity. The precise mechanism for the big increase in risk over comparable dry chamber exposures is unknown, but may involve a greater tendency for diver CO2 retention during immersion. Exposure limits must be much more conservative for immersed divers than for dry divers. Supervisor (DSWS Watchstation 305), it is safe to operate. In divers with severe Type II symptoms, or symptoms of arterial gas embolism (e.g., unconsciousness, paralysis, vertigo, respiratory distress (chokes), shock, etc. ), the risk of increased harm to the diver from in-water recompression probably outweighs any anticipated benefit. Generally, these individuals should not be recompressed in the water, but should be kept at the surface on 100 percent oxygen, if available, and evacuated to a recompression facility regardless of the delay. The stricken diver should begin breathing 100 percent oxygen immediately (if it is available). Continue breathing oxygen at the surface for 30 minutes before committing to recompress in the water. If symptoms stabilize, improve, or relief on 100 percent oxygen is noted, do not attempt in-water recompression unless symptoms reappear with their original intensity or worsen when oxygen is discontinued. Continue breathing 100 percent oxygen as long as supplies last, up to a maximum time of 12 hours. The patient may be given air breaks as necessary. If surface oxygen proves ineffective after 30 minutes, begin in-water recompression. To avoid hypothermia, it is important to consider water temperature when performing in-water recompression. – Put the stricken diver on the UBA and have the diver purge the apparatus at least three times with oxygen. – Descend to a depth of 30 feet with a standby diver. – Remain at 30 feet, at rest, for 60 minutes for Type I symptoms and 90 minutes for Type II symptoms. Ascend to 20 feet even if symptoms are still present. – Decompress to the surface by taking 60-minute stops at 20 feet and 10 feet. – After surfacing, continue breathing 100 percent oxygen for an additional 3 hours. – If symptoms persist or recur on the surface, arrange for transport to a recompression facility regardless of the delay. But I must warn you, some may probably jump to your neck when they reach the blunt recommendation of exposing someone to 2.8 ATA of O2 while underwater (and on a regulator!). There is space for IWR, Bret; for sure. There are reasonable IWR procedures; but your recommendation of running a USNTT5 underwater is just insane. I urge the readers on this forum to please use common sense and put Mr. Gilliam’s Protocol for In-Water Recompression where it belongs: the trash can. “Jim” inquired as to where I got my degree in hyperbaric medicine… I’m not a doctor. I am credentialed by a variety of authorities including the International Board of Underwater Medicine, NOAA, the Navy and Hyperbarics International as a Recompression Treatment Supervisor. I also wrote the chapter on Diving Medicine for the reference text “Pre-Hospital Trauma Life Support” as well as many peer reviewed papers on the subject including In-Water Recompression. Outside of hospitals, the overwhelming number of DCS and AGE treatments are conducted by non-MDs… but rather by experienced professionals with specific engineering and chamber operational experience. Of course, I would love to see availability of small chambers in remote locations and aboard vessels. BUT… that’s not going to happen due to cost, liability, and transport of the units. And the size of practical small chambers is so confining that many divers will not fit comfortably in them or even want to subject themselves to the claustrophobic experience. Doing the treatment in the ocean is much more comfortable, easy access, and requires minimal support equipment. I do hope that the diving pros on the remotely located resorts and vessels will get the necessary gear and training and be ready when the time comes. It’s a very real situation that everyone needs to get their heads around. It’s not overly difficult to get ready and the immediacy of treatment outweighs the very minor risks. Good luck to all. So choosing 60 minutes of O2 time at 9m for example, you breath 10min on Oxygen, and then take a 5min break on Air for a total bottom time of 90 minutes (Air Breaks do not count or accrue credit into the O2 time at 9m), and on the slow 0.1mpm O2 breathing ascent you have to hold at every 1 meter of ascent for the 5min Air Break – a time-to-surface of 135 minutes. So the total treatment time would be 90min bottom plus 135min ascent equals 225 minutes. Can be done with an AL80/11L cylinder of Oxygen and another of Air on Open Circuit. . . Modified Australian IWR has a lesser ppO2 exposure of 2.0 at a longer time & shallower depth of 30’/9m, while still squeezing/off-gassing pathogenic DCS bubbles to at least 80% of their original size; while Bret Gilliam’s Navy Table 5 modification in the article has ppO2 of 2.8 at a shorter time but deeper 60’/18m depth and reducing bubble size to 70%. The risk of Oxygen toxicity is still there though in both IWR methods. . .
Bret, I am curious were you got your degree in hyperbaric medicine? But the subject of IWR treatment is about medical outcome to resolve inert gas bubble occlusions. The best results are proven to be obtained with a starting PO2 of 2.8 and that is standard in chambers. If you are relaxed and simply deployed on a hang line, your physical exertion is nearly zero. Yes, I do recommend a full face mask but faced with the consequences of no treatment I would certainly opt to use open circuit. Your time on oxygen on my protocol at 60 feet is only 40 minutes (not including the air break). That is a minor risk and most divers faced with the real possibility of permanent injury including paralysis would choose to do IWR. That’s a personal decision. If you’re more at ease with gambling on delayed treatment (or no treatment at all except surface oxygen breathing)… then that’s up to you. IWR treatment has been going on for over nearly five decades with excellent results. It does require a thorough understanding of the subject by the person directing the treatment and the right gear. If you have minor Type I signs and symptoms, then a period of surface 100% oxygen breathing is fine. See if you get relief. If so, continue the aggressive O2 breathing until all symptoms are gone. But for CNS DCS issues, you need pressure to reduce the inert gas bubbles radius and diameter and create the pressure differential to facilitate efficient relief. And you have to get in the water (or a chamber) to achieve that. “ME” is obviously lacking the knowledge of the overall hyperbaric treatment issues and should study up a bit before pontificating on things he doesn’t qualify for. Frankly, I don’t care what someone like him does. He can make his own “uniformed” decision. My recommendations are based on proven data, resolution of DCS in the patients I’ve treated with IWR, and similar results from the professionals I’ve trained going back to 1971. It’s not for amateurs. What a huge load of cr*p! The “expert” is bluntly recommending doing a USN TT5 underwater without hesitation, and others applaud? Jeez!!! Breathing 100% O2 @ 2.8 ATA while submerged is no less than Darwinian. But don’t trust me! Experts on this same forum have previously published an article called “Considerations of Oxygen in Diving Gas Mixtures” that contradict Gilliam’s statement. The expert also warns about diving on a mix containing a PO2 of 2.1 ATA of Oxygen saying that “this partial pressure will DEFINITELY [he uses bold] produce toxicity limited only by time and other influences such as elevated PCO2.”. And he’s damn right! Your basal metabolism will be higher just to compensate temperature loss, so you are guaranteed to have an elevated PCO2 while submerged, which will significantly lower your threshold for CNS O2 toxicity. Oh, wait! The author is also Bret Gilliam! I rest my case, your honor. Nobody resists an archive. I would echo the physician in the above post. The risk of CNS O2 toxicity on this table is unacceptably high. Use of an open-circuit SCUBA regulator adds the risk of drowning on top of it. A full face mask is a must for in-water recompression, not just an aside. All established IWR protocols call for a full face mask and limit depth to 30 feet. See http://rubicon-foundation.org/in-water-recompression/. I am a hyperbaric medicine doctor -and also a diver- with 20 years as director of a hyperbaric unit in a government hospital, IMHO to go to -18m with pure oxygen is very, very dangerous, because the risk of an hyperoxic convulsion and drowning is high. I would recommend instead of a 5USN in water, a french “in water” recompression table: only one hour a -9 m with pure oxygen followed by 4 hours of normobaric oxygen in surface. Once, twelve years ago, I have to treat a divemaster this way at Darwin Island with excellent recovery. In the worst case, if pure oxygen is not available, is there an alternative that might still be helpful? I am a retired intensive care doctor, who has worked in hyperbaric medicine. I am also a diver (recreational<40m) of 1600ish dives and 20 years experience. I have often thought when diving in remote areas (New Guinea) that there were circumstances under which I would drag myself into the water for in water recompression (IWR). Equally there are those where I would breathe O2 on surface take painkillers and await resolution. The difficulty in releasing this genie from the bottle is not in performing relatively safe IWR but in assessing the risk benefit ratio of a potentially risky treatment versus a significant long term morbidity. If I had a serious spinal bend then I would have immediate IWR with what ever O2 and equipment was available, the fear of long term paralysis outweighs for me the possibility of drowning during a hyperoxic convulsion. If I had a classic musculo-skeletal painful elbow or shoulder I would breathe O2 on surface and take NSAIDs. The bulk of possible DCI is somewhere in between and the benefits must outweigh the risks. The need here is not only for the equipment (full face mask preferred) and personnel with the skills to implement it but also for clear algorithms to decide whether it is indicated. Ideally I would like to see divers in remote areas indicating in advance what they would like a resort to do in these circumstances if IWR was available. Thank you so much for this Bret! I often dive in remote areas and have fingers crossed that the operator would know how to deal with an in-water recompression, or that they would be able to contact someone to advise how to in a timely manner. I will print and carry this with me at all times should I, or another diver, ever need this critical information. All dive operators, but especially those in remote areas or on live aboard dive boats should have this printed out and kept in a secure place easily remembered. Get the set up, and regularly check that gear is in working order and tanks filled. I used a similar set up on Telita and a similar schedule but never had to use it in anger. We did practice with the gear when doing stops after particularly deep dives, and nobody ever got bent. Well done Bret!